The latest attack at an Air Base near Peshawar in which more than 30 air force and army personnel have been killed has not dented the honeymoon of the general public with the Army Chief Gen Raheel Sharif. Gen Sharif is riding a new wave of popularity in Pakistan. This is nothing new. Such messianic moments are a cyclical feature in Pakistan. Nevertheless, Raheel Sharif has gone beyond the past benchmark in many ways. His extension of tenure is but a foregone conclusion. Raheel Sharif is the sixth Army Chief that Nawaz Sharif is dealing with since he first became prime minister in November 1990. 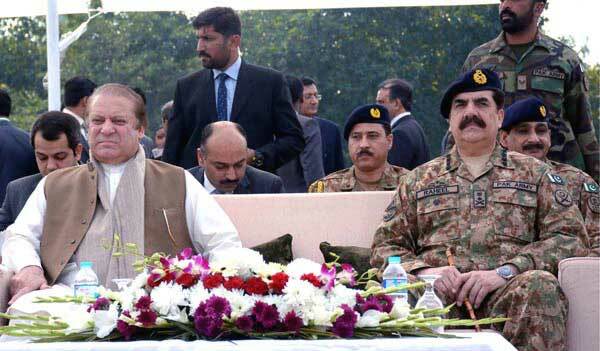 Depending on vicissitudes of the geopolitical flux, each army chief presented new set of challenges to Nawaz. Gen Asif Nawaz Janjua was the first adversary that Nawaz Sharif had to deal with.Of many things, what had irked Asif was the appointment of Lt Gen Javed Nasir as the ISI Chief. Nasir was a votary of pan-Islamism and believed in reaching out to Muslims wherever in distress including China. At that time as per reports, the CIA had also infiltrated into Pakistan’s nuclear establishment through a Pakistani scientist. During the same period,for the first time, Pakistan was put on US watch list of terrorists. Several sources reveal that Janjua was about to impose a martial law when he suddenly died under very mysterious circumstances. Such sudden and mysterious deaths are not alien to Pakistan or to say the Indian Subcontinent. Attack Helicopters: Should India Have Them? The Attack Helicopter has value for money in a relatively benign environment for short, swift Special Operations where the opposition has restricted ability to interdict the AH. Other countries have huge air arms for each Service, some of which are now closing down. There is no justification for India to mimic defunct, untried and indeed failed strategies developed for European and Middle East scenarios. This approach may mislead us into a weapons procurement minefield. Thereafter, wasteful expenditure will hamper us from getting what we really need for India’s safety and security. It is with much trepidation that one reads about acquisition of Attack Helicopters (AH) for the Armed Forces. Ground Force commanders have always demanded dedicated air borne offensive fire power placed directly under their command as they are convinced these are indispensible for victory. The commander equates airborne firepower with armour, artillery, combat engineers that are under command and integral to the Division or Corps. He believes, incorrectly, that under-command airborne fire, he will win the land battle. He ignores the inherent flexibility of airborne weapons which precludes limiting that firepower within restricted areas. Why squeeze that flexible and swiftly re-locatable capability? The relations between India and Pakistan are generally tense and both countries do not miss any opportunity to slander the other although several times the accusations and counter accusations are for the consumption of hardliners in their own state. 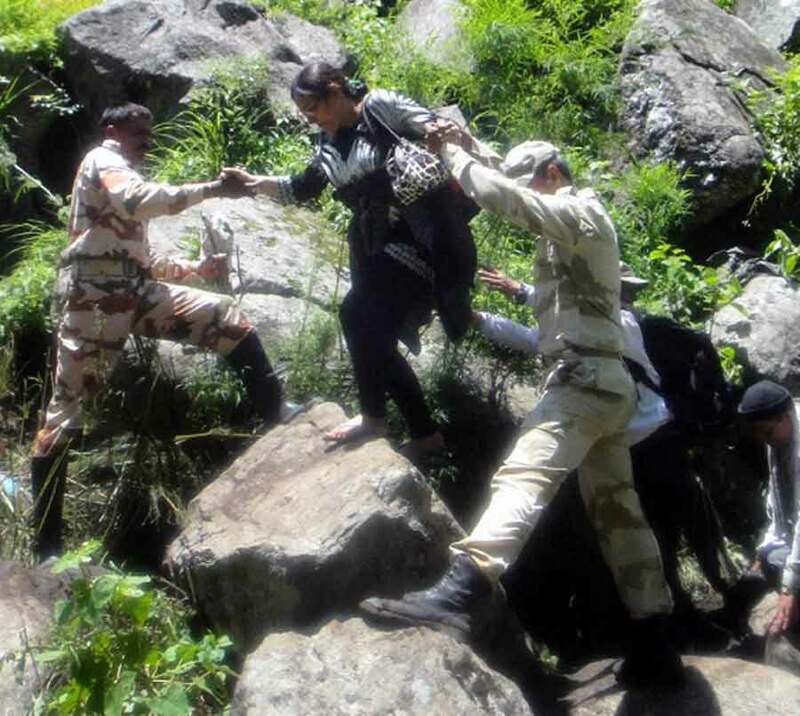 The border violations by India’s hostile neighbor Pakistan has increased manifold since the last few months. 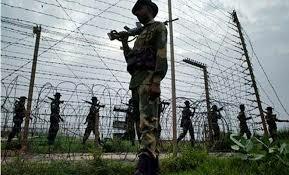 Pakistani security forces have violated the ceasefire in Jammu and Kashmir more than 250 times in 2015 alone, in which several civilians and personnel of security forces lost their lives. Pakistan, which never misses the opportunity to internationalize the Kashmir issue, constantly writes letters to United Nations to intervene. It alleged that Indian security forces used heavy mortars and machine guns in which several Pakistani civilians were killed. In fact, the Pakistani troops used heavy weapons, and accused India of using the same. To begin with Pakistan had codenamed it ‘Operation Gibraltar’, after the Arab invasion of Spain which began with the capture of the Rock of Gibraltar. It was an ambitious plan conceived by the military dictatorship of that country under Field Marshal Ayub Khan, for the conquest of Kashmir. The Indian Army’s dismal show against the Chinese in 1962 had emboldened Ayub to make the move; and he was also in a hurry. The expansion and modernization of the Indian Army was going on at a rapid pace, and he would find himself at a disadvantage if he waited anymore. Essentially the plan propounded to have a 30,000-strong guerilla force to infiltrate through the porous borders of Kashmir, and incite an uprising in the state. But before that he had to go in for a ploy, to cause imbalance in India’s troop deployment along its border with Pakistan. This would also provide his armed forces with the much-needed opportunity to try out the array of latest weaponry they had received from the US (the Sabre Jets, the Star Fighters and the Patton Tanks among them), concurrently assessing their adversary’s capacity to fight back. The venue selected for this initial trial phase was the Rann of Kutch in Gujarat. 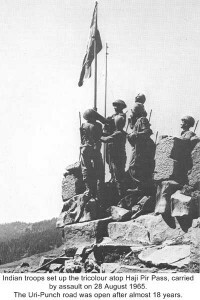 Pakistan began the game in early 1965 with small scale incursions into this vast and thinly manned segment of Indian border, forcing India to relocate its troops to bolster the defences there. Civil Power is the ultimate authority charged with the governance of the State. The execu­tive; the legislature and the judiciary, functioning in their respective spheres and in the prescribed manner, are the various elements that constitute Civil Power. Civil administration and the Army are the two in­struments available to Civil Power to execute in its decisions. In this scheme of things, the Army must always remain subordinate to Civil Power no matter what the form of Government. The Army is here referred to in its generic sense, meaning the military and stands for the Defence Services as a whole. Lenin talked of the need for the Party to control the gun and advocated a politically committed Army. This is the pattern obtaining in socialist states, where the Army remains totally aligned with the Party. Senior military officers are important functionaries in the Party. Through political education and with political commissars monitoring the Army’s functioning at all levels, the Party exercises strict control over the Army. In addition to this, professional control over the Army is exercised by the State at the na­tional level as in other forms of Government. In democracies, the Army is not required to be committed to any party. In fact the em­phasis is on the Army remaining apolitical. At the national level, full control is exer­cised by Civil Power over the Army which is required to function in accordance with its directions. Heavy flooding has affected more than a million people in the north-eastern Indian state of Assam, with 45 dead and more than 200,000 in relief camps. And yet there is still very little coverage of the disaster in the international media - perhaps not surprising when you consider even most Indians aren't paying attention. But they should - and so should you. The fact a region that is flooded regularly should be so unprepared for the latest downpour is scandalous, as is the shortsighted or uncaring government response. The floods have also affected local wildlife, with the Kaziranga National Park - home to two thirds of the world's Indian rhinos - reporting the electrocution of elephants fleeing from the water, as well as the death of at least three rhinos. India’s stance on the Syrian crisis has been subtle yet expected. New Delhi under the previous government of the Congress-led United Progressive Alliance (UPA) maintained its opposition to external military intervention in Syria, and asked for all parties involved to engage in dialogue for a political solution. “There can be no military solution to this conflict,” said an Indian Ministry of External Affairs statement in 2013. India and Syria have historically maintained cordial relations, formed during India’s post-independence outreach to the Arab world and beyond as part of the Non-Aligned Movement (NAM) that then Prime Minister Jawaharlal Nehru championed along with then Egyptian leader Gamal Abdel Nasser. Are India and North Korea Really Upgrading Ties? An interesting report in The Hindu, with the headline “India reaches out, wants to upgrade ties with North Korea,” caught my eye yesterday. The report noted that India was taking a significant step forward in its relations with Pyongyang by upgrading its bilateral ties. India’s relations with North Korea aren’t normally in the press. They received some attention earlier this year when North Korean Foreign Minister Ri Su-yong visited New Delhi for a series of meeting. Overall, India’s relations with North Korea are cordial but limited—for a range of reasons, including North Korea’s occasional chumminess with Pakistan and South Korea’s reservations. An upgrade in relations would be a significant move in India’s eastward foreign policy. So what’s really going on? By my calculation, about 79% of India's combat aircraft squadrons and 96% of its main battle tanks are of Soviet-design, a legacy of New Delhi's close relationship with Moscow in the 1970s and 1980s. A country's defence choices can define the shape of its armed forces for decades to come. This is an important lesson for Indian leaders to heed as they consider the future of the Indian Air Force (IAF), a service that set out a highly ambitious doctrine in 2012, but appears to be shrinking ineluctably year by year. What is especially troubling is that problems are visible across the low, medium, and high end of the IAF combat fleet. At the high end is the Fifth Generation Fighter Aircraft (FGFA), part of Russia's PAK-FA program (pictured) whose first prototype flew in 2010 and has been in testing since. India is notionally co-developing the aircraft, with some suggestions it's willing to invest tens of billions of dollars into the project. In practice, India's role has grown increasingly limited to particular areas of the aircraft like tyres and radar coolant. The Afghan Taliban may split into two factions, said a spokesman for one group on Saturday, because they cannot agree who should be leader following the death of their founder. The split could derail fledgling peace talks between the insurgency and the Afghan government and open the way for the Islamic State group to expand its foothold in one of the world’s most tumultuous regions. The dispute occurred after Afghan intelligence leaked news last month that the insurgency’s reclusive founder, Mullah Omar, had been dead for more than two years. A hastily convened meeting chose Omar’s deputy, Mullah Mansour, as the new leader. But many commanders were angry that Mansour had concealed Omar’s death and objected to his speedy appointment. 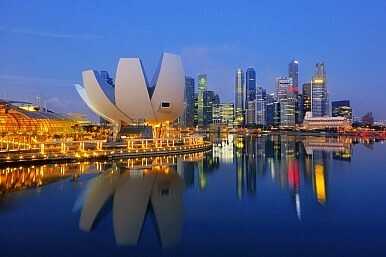 Asia’s research footprint is growing. China recently pledged support for 100 new think tanks to expand ministerial analytical capacity. India’s think tanks are poised to benefit from a growing base of knowledgeworkers. In April, China and Pakistan announced ajoint think tank focusing on economic growth, and China has also entered into a “think tank alliance” with the EU to support research about Eurasian economic development. WASHINGTON — The United States and China are negotiating what could become the first arms control accord for cyberspace, embracing a commitment by each country that it will not be the first to use cyberweapons to cripple the other’s critical infrastructure during peacetime, according to officials involved in the talks. 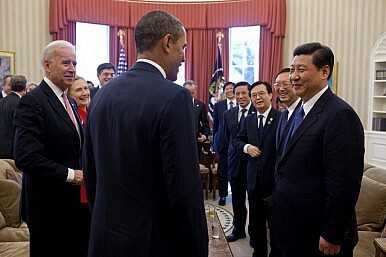 While such an agreement could address attacks on power stations, banking systems, cellphone networks and hospitals, it would not, at least in its first version, protect against most of the attacks that China has been accused of conducting in the United States, including the widespread poaching of intellectual property and the theft of millions of government employees’ personal data. 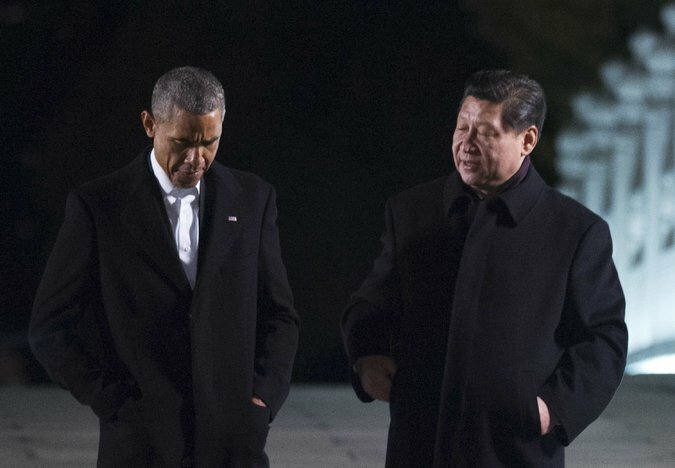 WASHINGTON — Major intrusions by Chinese hackers of U.S. companies’ computer systems appear to have slowed in recent months, private-sector experts say, ahead of a meeting between China’s president and President Barack Obama with cyber security on the agenda. A point of friction in U.S.-Chinese relations, cyber security will be a major focus of talks with Chinese President Xi Jinping this week in Washington, D.C., Obama said earlier this week. In the same remarks, Obama called for a global framework to prevent the Internet from being “weaponised” as a tool of national aggression, while also holding out the prospect of a forceful U.S. response to China over recent hacking attacks. What Will the Chinese Military Look Like in Ten Years? Roy Kamphausen and David Lai, eds., The Chinese People’s Liberation Army in 2025 (Carlisle, PA: Strategic Studies Institute, U.S. Army War College and National Bureau of Asian Research, 2015). The apparent rise of China’s assertiveness in Asia has attracted a great deal of interest in the lead up to Xi Jinping’s upcoming visit to the United States to meet with President Obama. Such a focus has been driven by Beijing’s ongoing efforts to bolster its territorial claims in the South China Sea. It was underscored on September 3rd by the display of a new array of military hardware during China’s commemoration of the 70th anniversary of Japan’s surrender that ended World War II. These developments are cause for concern as they raise questions regarding the overall orientation of China’s foreign policy, its relationship with the rest of Asia, and more broadly the United States. As such during Xi’s state visit to the White House we can expect that President Obama will press his Chinese counterpart on these issues. Fifty years ago this year, the United States embarked on another “pivot to Asia,” albeit one that many Americans may wish to forget. A war that took the lives of nearly 60,000 young Americans, maimed and wounded more than 300,000, and also resulted in the deaths of perhaps 2-3 million Vietnamese on both sides of the conflict, should not be relegated to the annals of another “forgotten war.” 1965 was the year when the U.S. commitment of forces to the Vietnam War went from 23,000 advisors to 184,000 combat troops and American casualties also multiplied by a factor of 20. In fact, America’s “longest war” (before the current Afghan imbroglio at least) remains quite relevant to the current U.S. rebalance to the Asia-Pacific. The epic failure in US defense policy that was the Vietnam War offers some stern lessons in military hubris, the perils of threat inflation, not to mention the dangers of being entangled in local identity politics (“nationalisms”) on the other side of the planet. But it also has important insight for one of our nation’s foremost contemporary national security quandaries: What to do about China? The trip to Brazil, Peru, Colombia, and Chile by Chinese Premier Li Keqiang in May this year sought to follow up on the planned cooperation between China and CELAC (the Community of Latin American and Caribbean States) announced in January of the same year. This plan’s main goals are to increase bilateral tradeto $500 billion and the inflow of Chinese direct investments to the region to $250 billion until 2025. The two objectives are linked, since China expects that the bilateral trade will grow if it invests in Latin American infrastructure. This strategy has also been used to bolster China’s economic relations with countries in Europe, Asia, and Africa. Railways, roadways, ports, and airports have been built or revamped to enable Beijing to buy raw materials and sell its manufactures around the world more cheaply and easily. 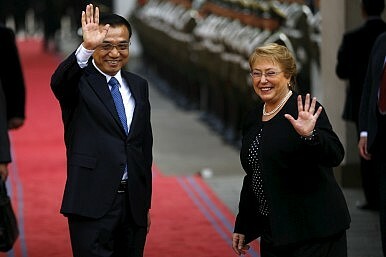 The investments promised by Li Keqing during his trip to South America are largely in line with this strategy. The flagship project is a $10 billion railroad between Brazil and Peru that will connect the Atlantic and Pacific ports. The railroad will make it easier and cheaper to export of soybeans, beef, and ore from the Brazilian hinterlands. Currently, these exports must first reach Brazilian ports in Pará or Maranhão, and then traverse the Panama Canal to reach the Pacific and China. Leaders in Beijing and Moscow have both been making a concerted effort to extend their connections with Central Asia in recent months. In July, Russiahosted the latest BRICS summit as well as a gathering of the Shanghai Cooperation Organization in Ufa near the border with Kazakhstan. 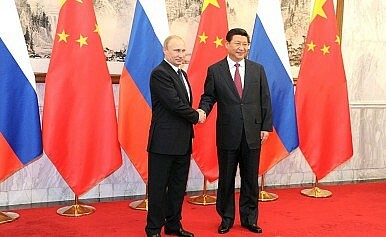 Earlier, in May, on his fifth visit to Russia since becoming president, President Xi Jinping reached an agreement with President Vladimir Putin to coordinate China’s One Belt One Road (OBOR) initiative with the Russia-led Eurasian Economic Union (EEU) in Central Asia. While both countries have clear economic incentives to cooperate in this region in the short term, they will need to overcome a number of hurdles to set their partnership on a path that can be sustained further into the future. 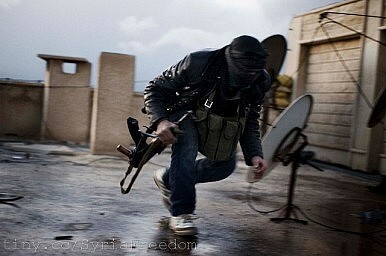 ISTANBUL — The 53-year-old father of two was convinced that Bashar al-Assad wanted him to flee Syria. More than two years after he buried the bodies from a massacre in his village near Damascus by forces loyal to the Syrian president, he sat in an Istanbul park alongside dozens of other refugees, waiting with their life jackets to make the journey to Europe by sea. “They want to empty the country,” he said, sitting with his wife and two children as he described how government soldiers had bombed the village of Jdeidet al-Fadel and then executed residents in their homes, suspecting them of rebel sympathies. Some, he said, were “beheaded like chickens.” After helping with the burials, he snuck his family into Turkey. The refugee crisis isn’t just a by-product of the brutal civil war in Syria, according to many of those fleeing, as well as Western officials and analysts tracking the conflict. It’s part of a concerted effort by the Syrian government, which has killed the vast majority of civilians in a war that has left more than 200,000 people dead. The recently increased Russian involvement in Syria ought to be viewed as an opportunity, more so than as a threat or as something that needs to be countered. Although Moscow's current involvement is only an extension of its longtime relationship with the Syrian regime, it represents just enough of a change to serve as the closest thing we are likely to have to a peg on which to hang some needed rethinking about the Syrian conflict. The need for such rethinking is reflected in the fact that everyone, including the Obama administration, seems to recognize that the current trajectory of this civil war is unpropitious, notwithstanding disagreements over what to do about the situation. This is true of at least three major types of trouble. One is the possible spread, quite possibly inadvertent, of instability and combat beyond Syria's borders. The war has, for example, increased the chance of a new war between Israel and Lebanese Hezbollah, given Hezbollah's substantial involvement in the Syrian war and Israel's reactions to Hezbollah activity in Syria. The current state of the conflict in Eastern Ukraine is similar to the situation in Crimea in March 2014. Russia claims that its forces are not involved despite a plethora of evidence to the contrary. Reports have been published analyzing the presence of Russian equipment in Ukraine, documenting cross-border artillery attacks, and demonstrating the participation of active Russian servicemen in the conflict. This report examines one aspect of the Russian-Ukrainian war, namely, the alleged cross-border traffic of Russian forces into Eastern Ukraine. If it is possible to link cross-border traffic to Russia’s armed forces, this not only provides additional evidence for Russia’s involvement, it also allows for a better assessment of the extent of Russia’s involvement. This report, which primarily focuses on events in the summer of 2014, is solely based upon open source information; the identification and verification of border crossings was performed relying on publicly available satellite imagery. By upping the ante, Putin hopes to deter the West from encroaching too far on Russian interests in Syria. But Russia is not eager to fight alongside Assad on the ground. Expect its direct role in the conflict to remain limited. A large uptick in the influx of Russian weapons and equipment into Syria in recent weeks, along with 200 additional naval infantry, has fueled speculation that Moscow is preparing for an expanded role in the conflict. President Vladimir Putin’s spokesperson, Dmitry Peskov, coyly suggested on September 18th that Russia would indeed consider sending more troops if Damascus requests them, but “it is difficult to speak hypothetically.” With Vladimir Putin in New York this month to speak at the UN General Assembly, some may expect just another rant, but more likely, he is not here to simply score political points. The timing is uncanny, and by all appearances Moscow plans to force Washington into a change of course on Syria. This was seemingly unthinkable a few months ago, but Russia has a way lately of turning the unthinkable into the possible. Those that still doubt whether Putin can use military force decisively to achieve political ends, and make strategic gains, should watch this situation unfold. Just as during August of 2013, when Moscow seized an opportunity to avoid U.S. air strikes on Syria by jointly disposing of the Assad regime’s chemical weapons, this is another flanking maneuver, leveraging military and diplomatic power. What is Russia’s game? Last week, Air Force General Frank Gorenc argued that the airpower advantage the United States has enjoyed over Russia and China is shrinking.This warning comes as part of a deluge of commentary on the waning international position of the United States. The U.S. military, it would seem, is at risk of no longer being able to go where it wants, and do what it wants to whomever it wants. Diplomatically, the United States has struggled, as of late, to assemble “coalitions of the willing” interested in following Washington into the maw of every waiting crisis. The Ultimate Weapon of War: Nuclear Land Mines? The modern French armed forces are in many ways similar in structure to the U.S. military. More so than most European countries, the French military is structured to confront a vast continuum of conflict, ranging from guerrilla to nuclear warfare. Like the United States, France structures its forces for both expeditionary warfare and the homeland defense mission. The French military maintains a high-end force of tanks, armored vehicles and modern jet fighters for high intensity conflict and a low-end of light infantry, special forces and light armored vehicles for the lower end of the spectrum. Heavy armored forces help France fulfill its European defense mission, while France’s commitments to its present and former colonies in Africa, South America, French Polynesia and the Middle East demand light forces capable of rapid overseas deployment. France also has nuclear weapons, a legacy of French President CharlesDeGaulle’s desire for a country that was militarily self-reliant. France was the fourth country to attain nuclear weapons capability, and during the Cold War maintained its own triad of land, air, and sea-based nukes. Here is a sampling of France’s five best weapons systems ranging from fourth-generation fighters to ballistic missile submarines capable of delivering armageddon across an entire continent. STONINGTON, Conn. (AP) - It was the winter of 1963 and George Cassidy was in the midst of the Navy’s boot camp in Great Lakes, Michigan, when he was told to go see the psychiatrist. The psychiatrist asked him personal questions and more broad ones about communications and whether he could keep secrets. He left the meeting with the psychiatrist still unsure of why he’d been ordered there in the first place. Cassidy joined the Navy in October of 1962 right around the time of the Cuban Missile Crisis. “And I said ‘what’s a CT?,’ and they said ‘we can’t tell you it’s classified.’ So I’m going OK why do I want to be something that nobody is going to let me know what it is,” Cassidy recalled. The Center for the National Interest seeks to hire a Program Coordinator to help launch and manage an exciting new fellowship program for young foreign policy leaders. The ghostly appearance of a former king inspired the famous line from Shakespeare’s Hamlet, “There is something rotten in the state of Denmark.” With five leaders in just five years, something appears decidedly rotten about the state of affairs in Australia, after the reappearance of former Liberal leader Malcolm Turnbull as the nation’s new prime minister. Yet with opinion polls published after the bloodless coup quickly turning in the ruling party’s favor, Turnbull’s elevation has sparked optimism of a change in direction for the world’s twelfth-largest economy, which has struggled to adjust to the end of a China-driven mining boom.